Ready for some early bird specials? Now, through a wonderful collaboration with GrowNYC’s composting pilot program, you can begin dropping off your kitchen scraps NOW! 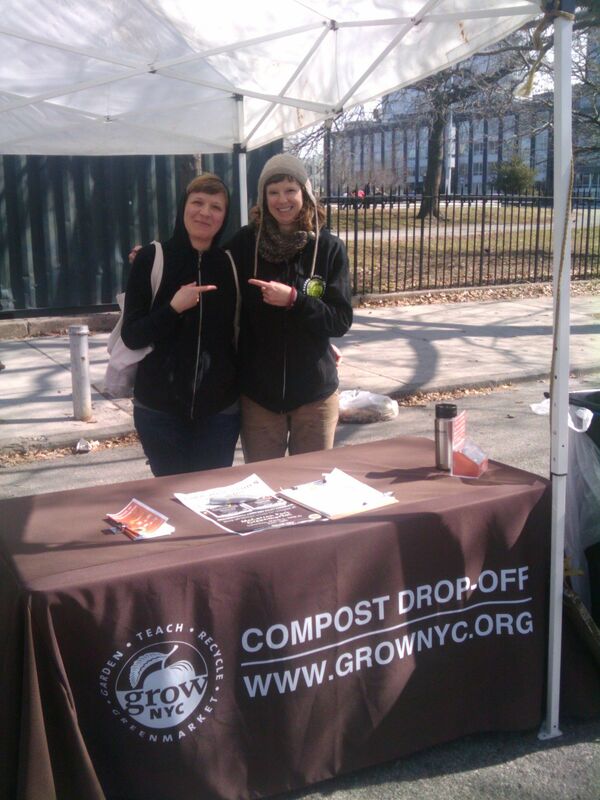 Each Saturday at the McCarren Park Greenmarket, from 8am till 2pm, you can go find Kelly (NBCP core member!) at the shiny new compost drop-off location. Thanks to some warm, sunny days this week, compost harvesting is underway. Come take away some of this black gold, and help us do screening this Saturday, March 19, between 10am and 12pm. Finally, thanks to a special Valentine from IOBY, we are funded to offer vermicomposting bins and a training on how to use them to area schools, offices and orgs. Let us know where you think we should offer these resources. We are already underway with a few local schools, but we have several more bins to go.